Comment: Just mow the front lawn. Comment: I need a irrigation valve replaced that serves the residence sprinkler system. Comment: I have just gotten out of the hospital and need someone to mow my small front yard. I have to be careful for the 30 days before I am able to push anything. This would be a mowing of the the front yard and very narrow sides. The back of the lawn will not be included in this request. My yard looks like a meadow and is is serious need of a good mowing. I would like the lawn to be mowed asap. It will take approximately 20 min. on average. Comment: We have an issue with irrigation water seeping into our crawl space. We believe there may be a leak in the sprinkler system closest to the house. We also have a couple sprinkler heads not working properly. We have not turned on our water system yet so that will need to be done as well. Comment: I am looking for an estimate to get my lawn mowed. Comment: Front and backyards. Front yard is separated by a wide two-car driveway that was installed a year ago or so. Backyard is larger, with one major silver maple tree, and a deck. There are roots in the yard. Property is about 60 years old. Grass is green right now. We have a lawn service doing the lawn care. There are shrubs and bushes on the perimeter of the yard that require little watering. I will probably continue to water them by hose. Approximate square footage of the grass is 4,000 square feet. Comment: Mow and trim front, side and back lawn. Boise Lawn Care Services are rated 4.63 out of 5 based on 2,145 reviews of 36 pros. 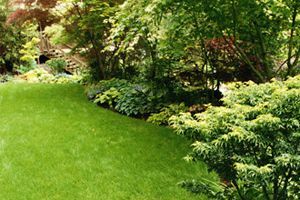 Not Looking for Lawn & Garden Care Contractors in Boise, ID?